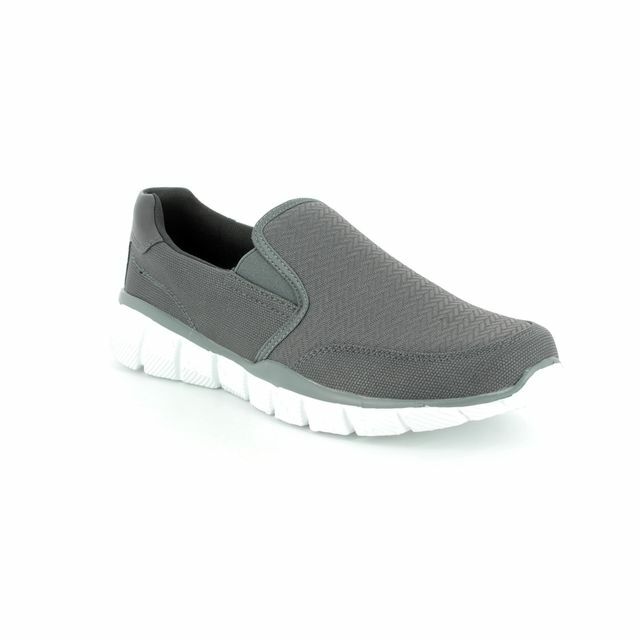 Heavenly Feet bring us 8124/70 JORDAN. 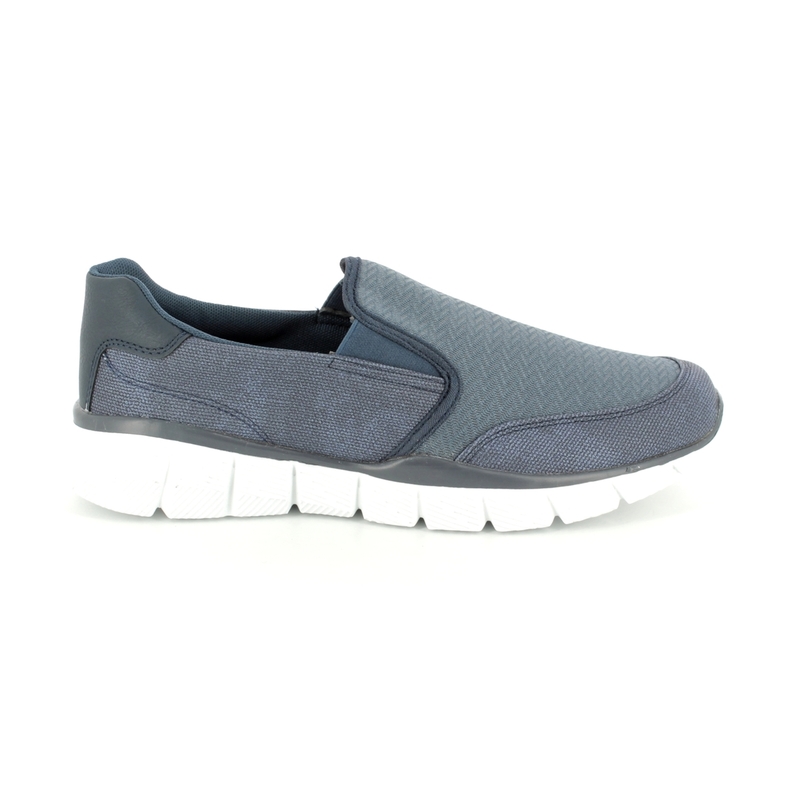 Perfect for every day, these men's trainers are a real wardrobe essential. 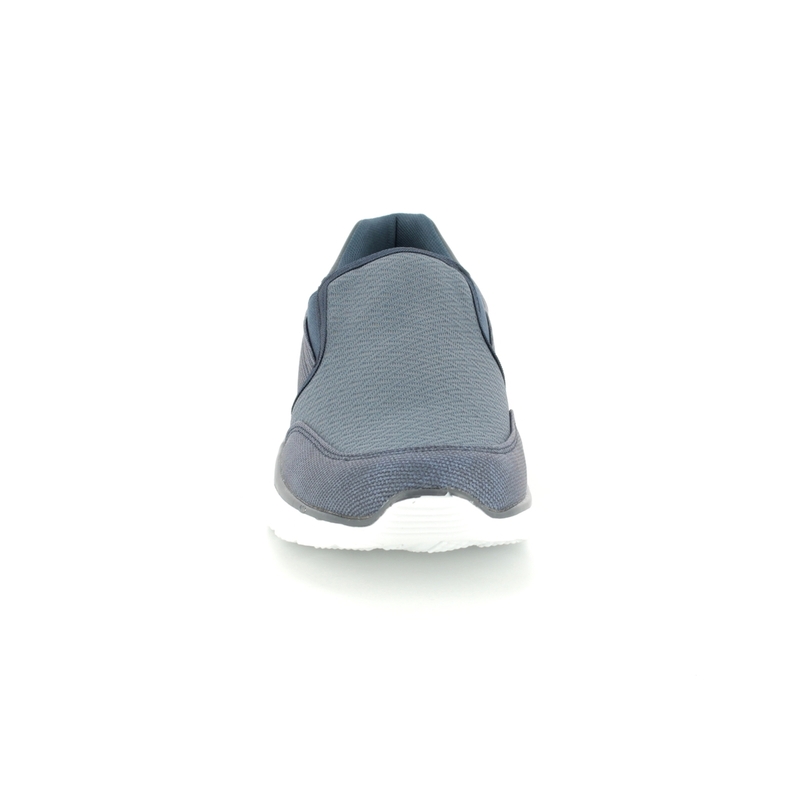 The navy fabric upper is detailed with a subtle chevron design over the vamp while the heel and toe cap are a plain fabric. 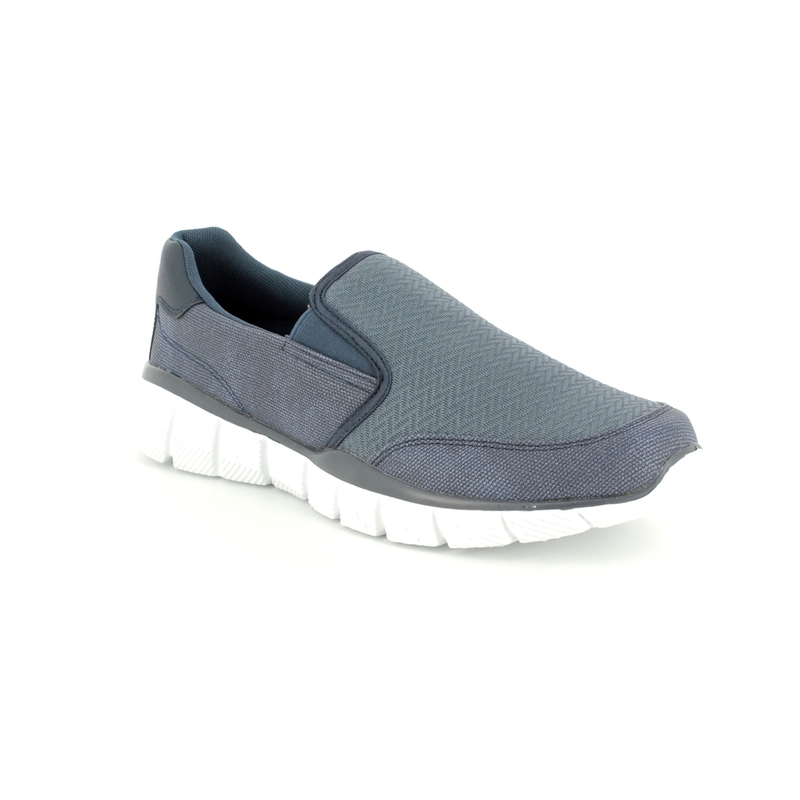 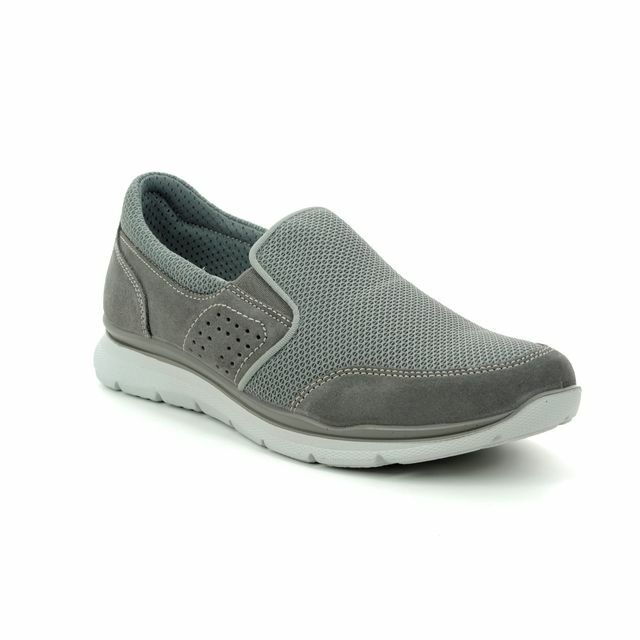 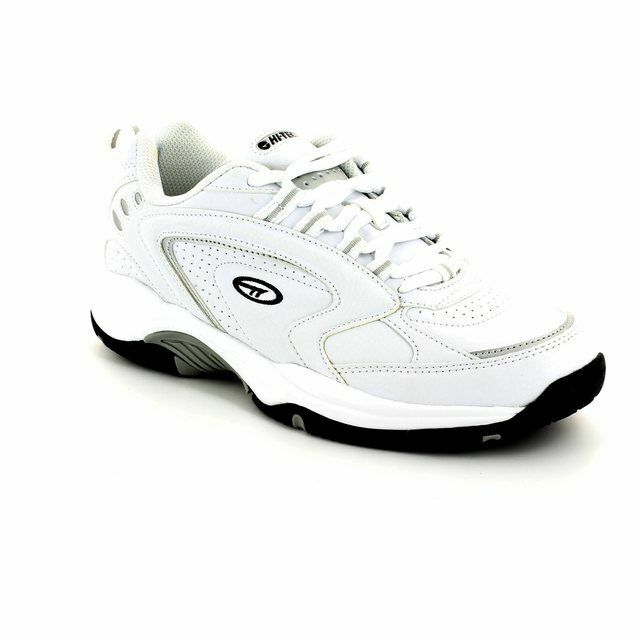 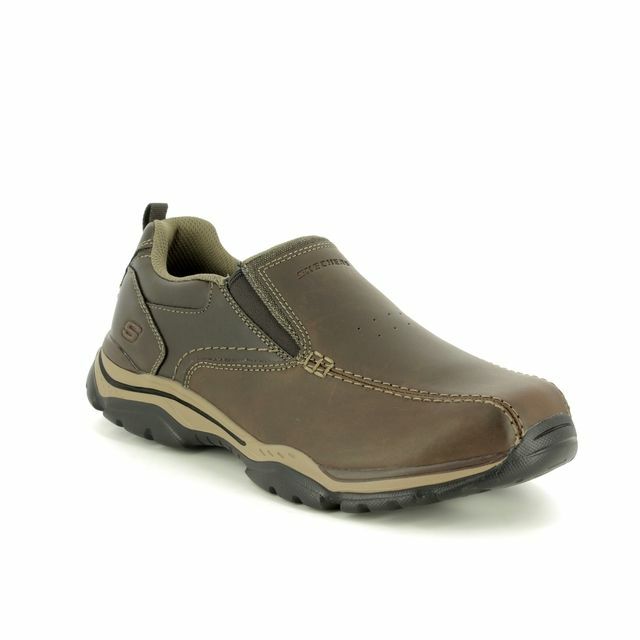 Heavenly Feet have used elasticated gussets on these men's slip on trainers for ease of use and a secure fit. 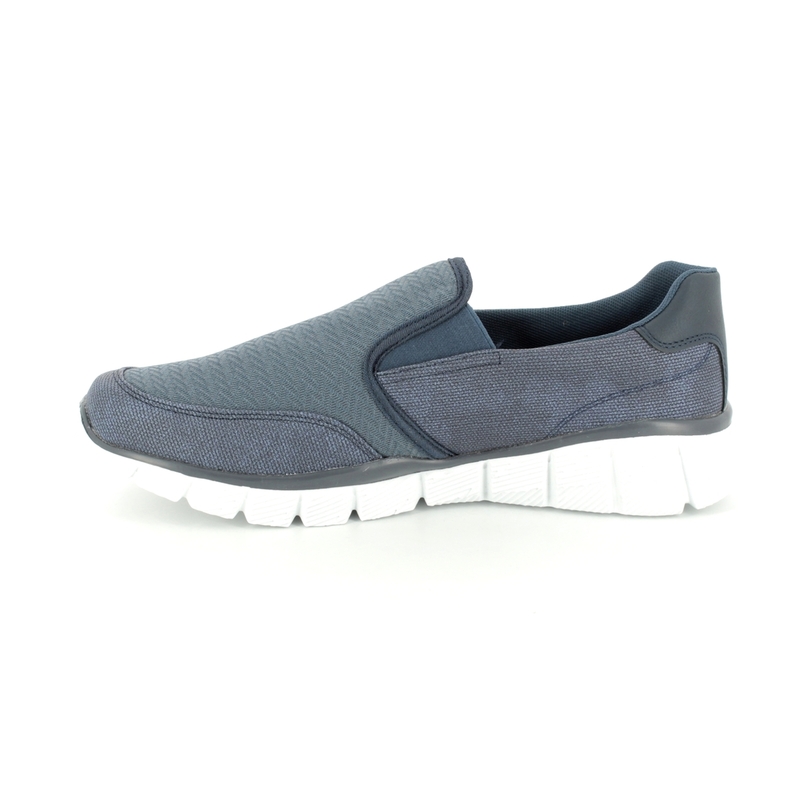 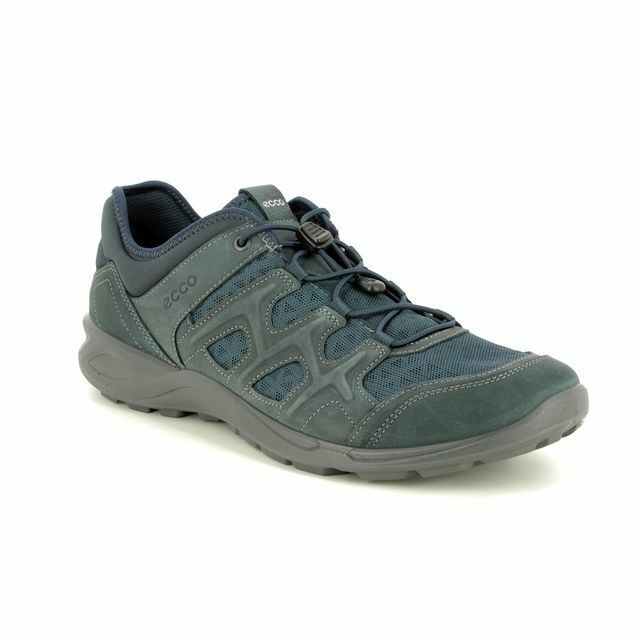 These gussets also allow the trainers to adjust as your feet expand during the day for a more comfortable fit. 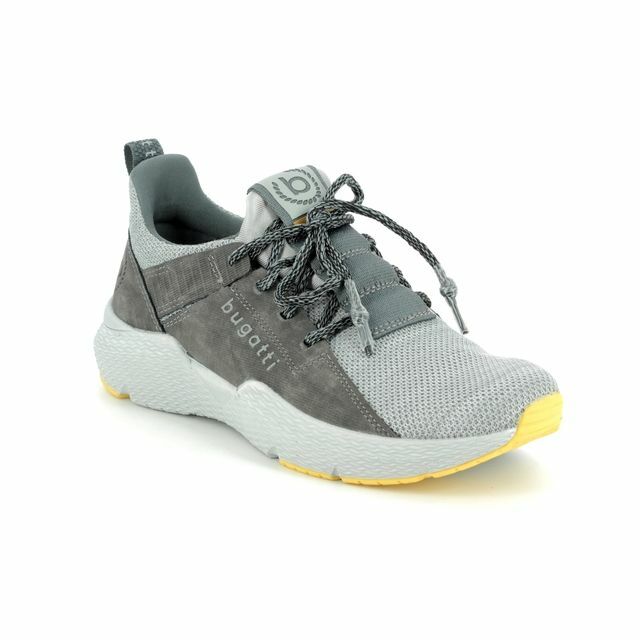 The white sole unit creates a contrast with the upper for a sports inspired look while its incredible lightness makes these trainers feel like your feet are in heaven. 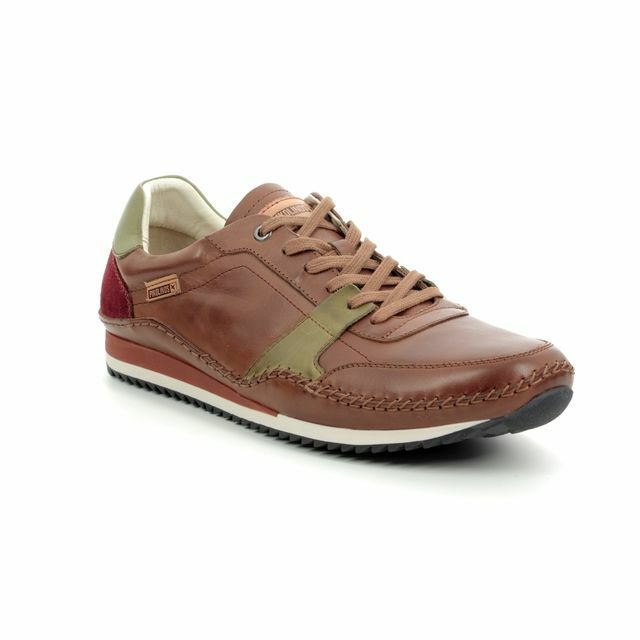 A cushioned insole finishes off these shoes making them sublime to wear. 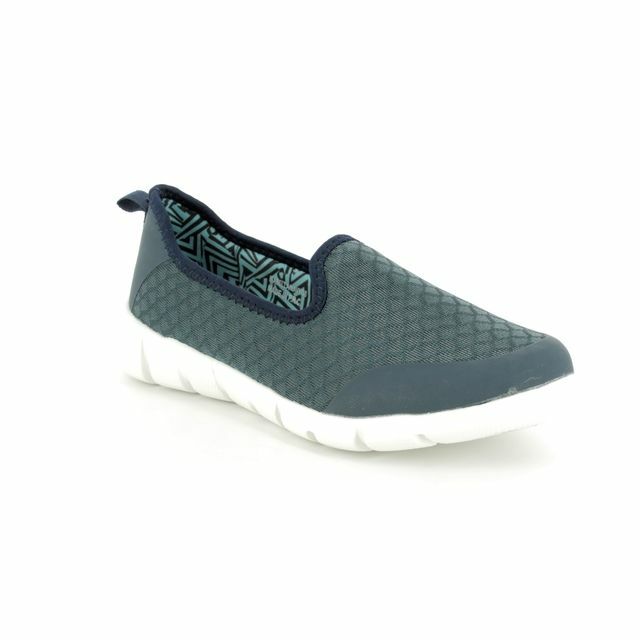 Paired with jeans or shorts, these slip on shoes are a total must-have. 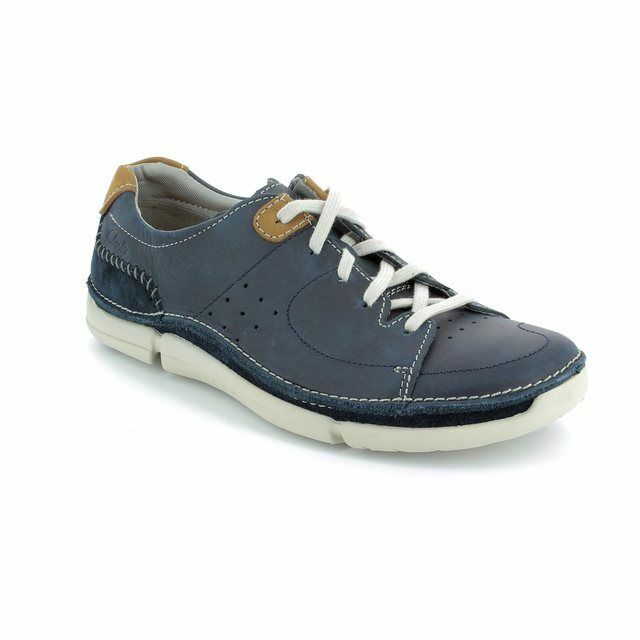 Buy your Heavenly Feet men's trainers from Begg Shoes, an official Heavenly Feet stockist.